The kitchen is the central part of today’s home. When combined with a living room or a dining room, the kitchen transforms from a room to prepare meals, into an area for socialization and interaction. The open-plan makes the most of any sized space and encourages a feeling of connection in day to day life or during home gatherings. Open shelving creates easy access and organization of your favorite kitchen pieces, while adding an open, airy feel, and making the most of smaller kitchens. Cabinetry mixed with open shelving above provides the best of both worlds and gives the option for storing bulkier or older pieces you may not want on display. The traditional American cabinet, partial overlay, is often being replaced with frameless Euro-style cabinetry in modern kitchens. The European style or frameless style is a simple, seamless, more contemporary cabinet design. and is sometimes called "full access" cabinetry because it offers greater accessibility by eliminating the face frame. Items that, in the past might be stored on counters now, most likely have a cabinet specially made to eliminate clutter in the kitchen. Spices, towels, cooking utensils, and other items can now be stored out of the way, while still being in easy access when you need them. While most modern kitchens keep things sleek with neutral colored cabinets such as white, light oak, and grays, adding accents of color can be a beautiful way to add character and beauty to your kitchen. 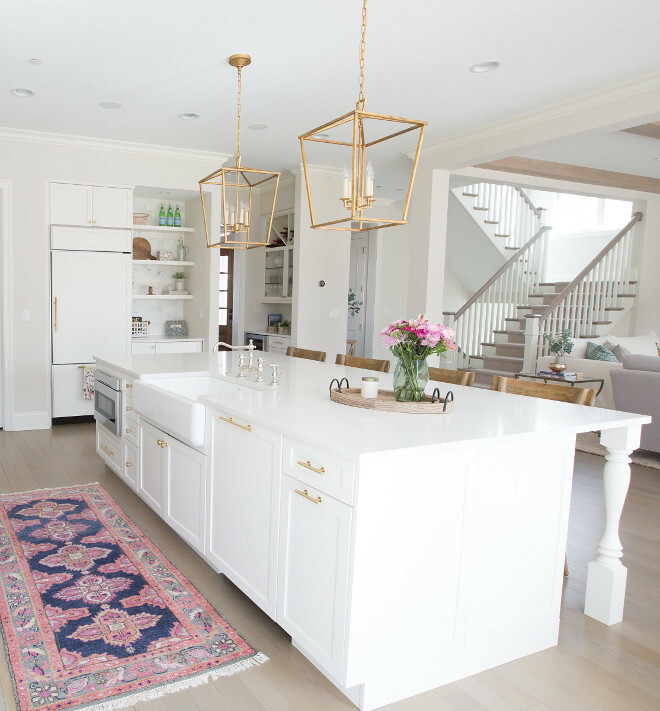 There are many creative ways to do this, through furniture such as bar stools,displaying colorful pieces in open cabinets or on shelving, or having an island that stands out from the rest of the kitchen. Accent lights can be a perfect way to bring your personality into the modern kitchen while adding function to your meal-prep space. Don’t be afraid to mix modern and traditional with your lighting choices. Often, statement lighting can be a focal point of your kitchen, so pay attention to height and size of your choices. We respect your privacy. This is just between us and you.